Home / Lace Pull L.S. Belt. lacepulll.S. Belt is an advanced brace designed with semi rigid back splints and multiple pulley driven tightening mechanism to deliver controlled and independent compression to attenuate lower back pain. 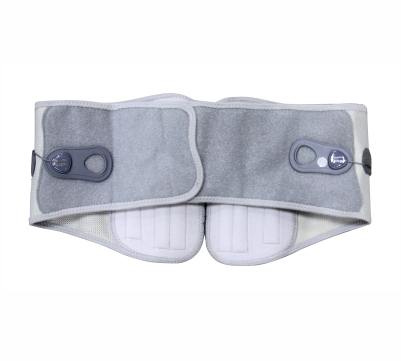 It ergonomically braces the waist, requires very less force, to achieve high compression and immobilization. Recommended specifically for postoperative stabilization and multi-level decompression. Lace pull is a unique mechanism which provides pulley multiply effect, with very less force it provides a big compression to the thoracic cavity. 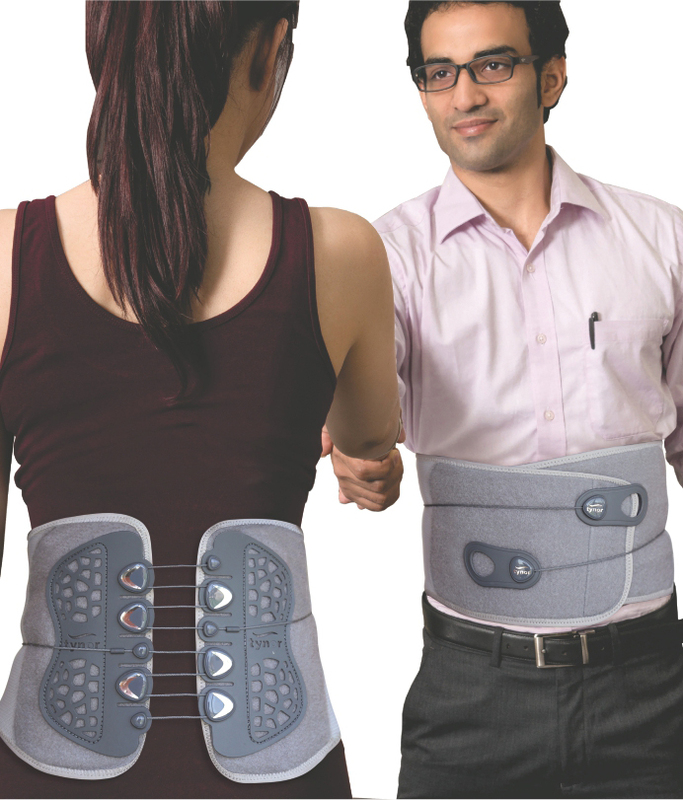 It is designed to allow variable and independent compression on thoracic and lumbar vertebrae. Uses breathing to elongate the thoracic cavity and decompress the lumbar IVD’s. A high-tech design allows variation in degree of compression while wearing. It is extremely sleek and comfortable, is easy to wear and remove. 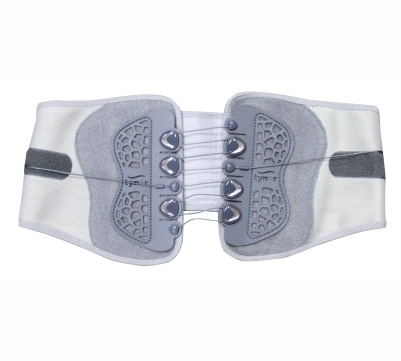 Semi rigid splints provide support and immobilization of the Lumbo Sacral region. They are flexible enough to take contours of the low back. Special Nylon woven fabric body is highly porous, ventilated and comfortable to teh patient. It has a long functional life and extermely good aesthetics.